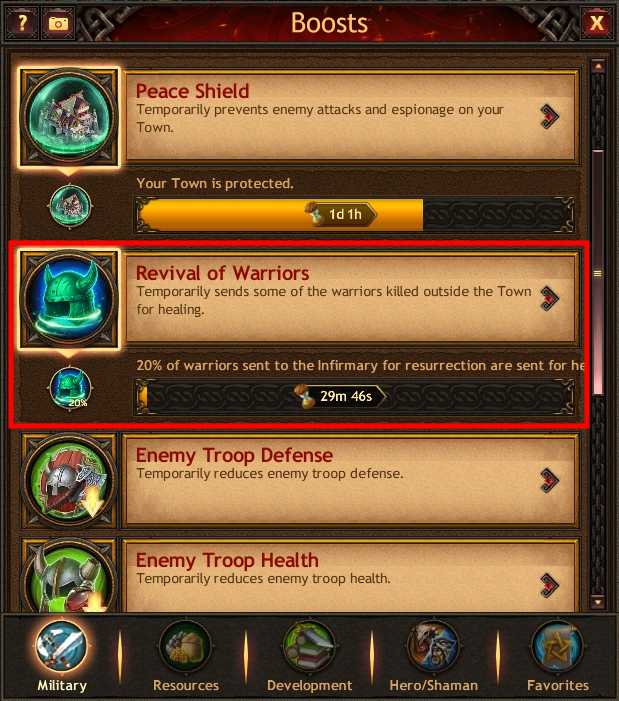 Will to Live is an item you can use to send some of the warriors killed outside the Town for healing. For example, 10,000 of your warriors have fallen in a battle outside the Town. 3,000 of them (30%) are destroyed, and the rest of 7,000 (70%) go to the Infirmary for resurrection. Within the Will to Live, 20% boost duration period, 1,400 warriors will go for healing (20% of 7,000). 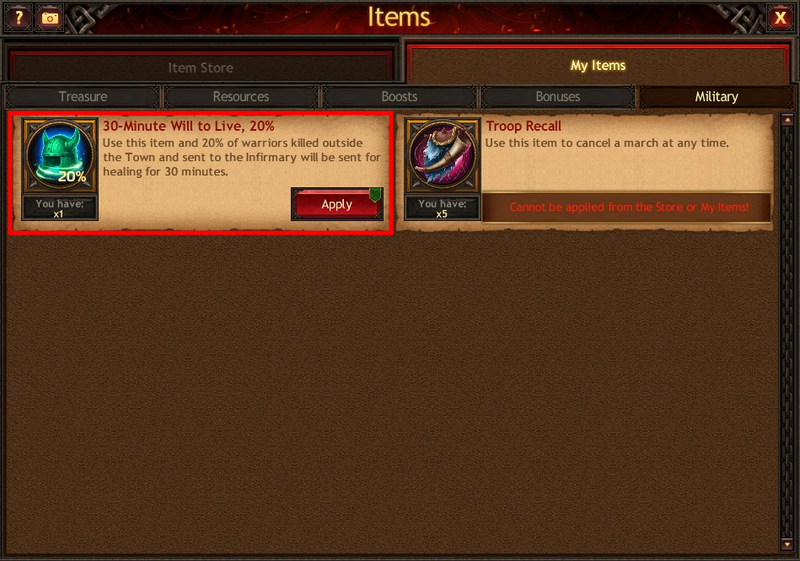 The "30-Minute Will to Live, 10%" and "30-Minute Will to Live, 20%" items can be purchased as part of Bank offers. Open the Items window, go to the My Items tab, then the Military section. 2. Activate the boost in the Boosts window, the Military tab, the Revival of Warriors category.